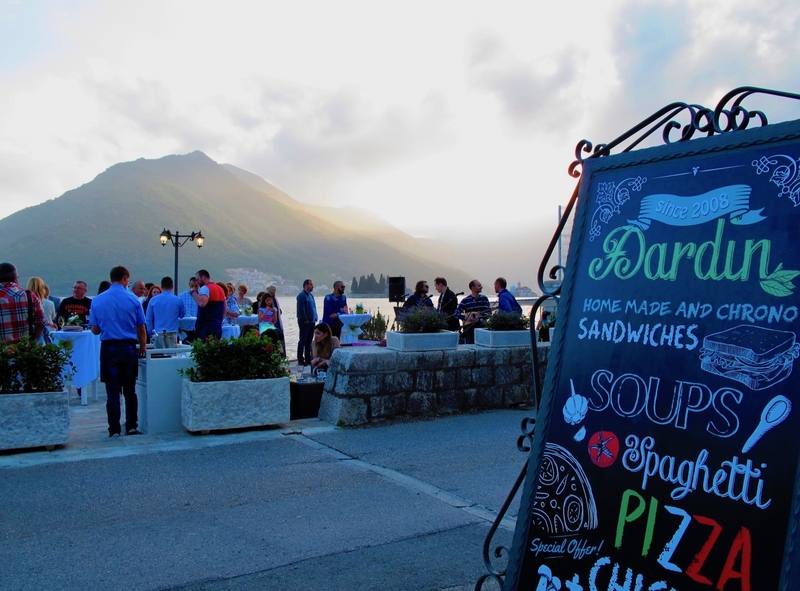 The small tranquil town of Perast is situated at the foot of St. Elijah Hill (873m), opposite the narrow Verige strait where the bays of Risan and Kotor converge. 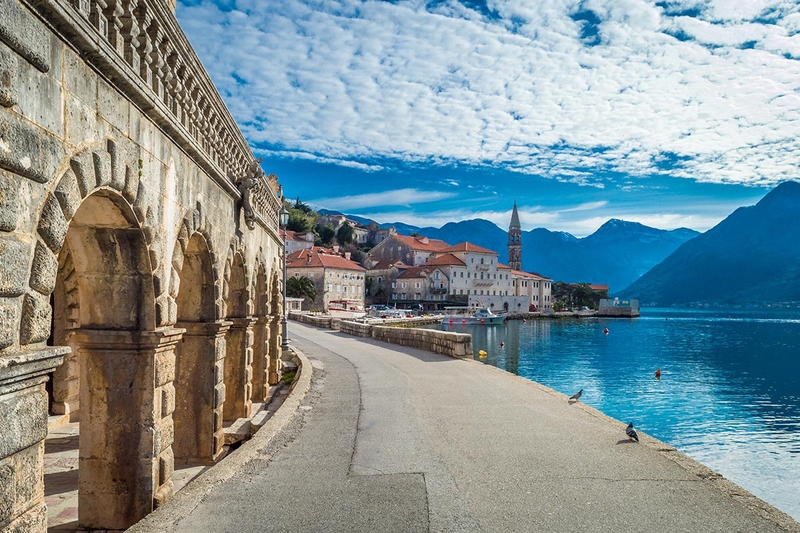 The UNESCO protected town with its impeccably preserved Venetian Gothic waterfront buildings has a magnificent past. 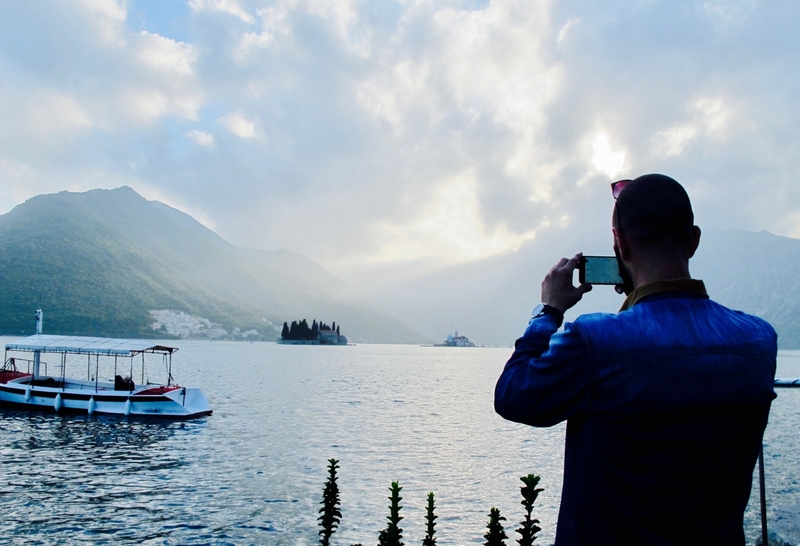 Iconic postcard images of Perast and the two famous nearby isles of Gospa od Skrpjela (Our Lady of the Rocks) and St George are amongst the best know tourism images of Montenegro. 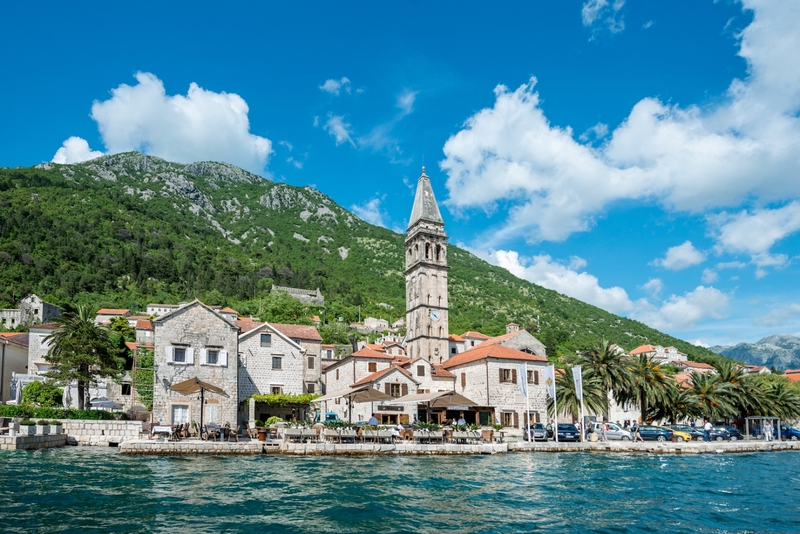 Perast is famous for its maritime history during a period when it repeatedly held back Turkish attacks while the rest of the bay had fallen. 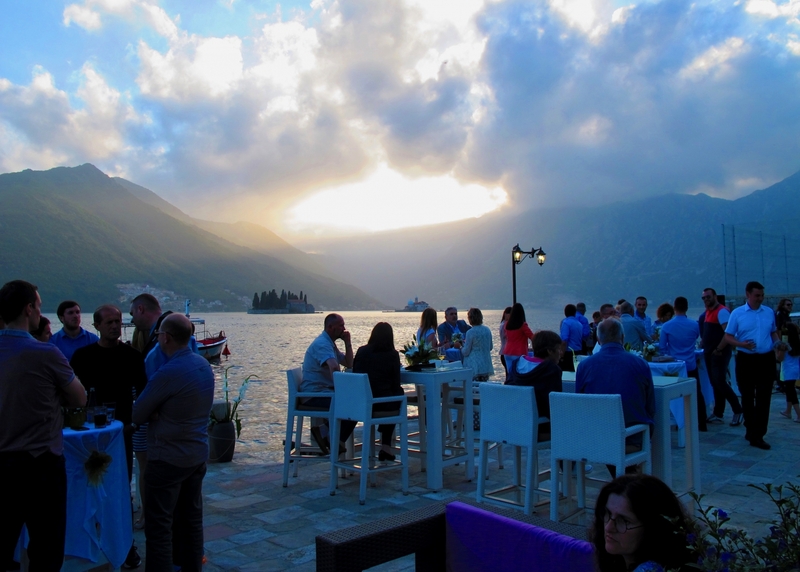 For nearly 500 years Perast was the muscle of the Adriatic. 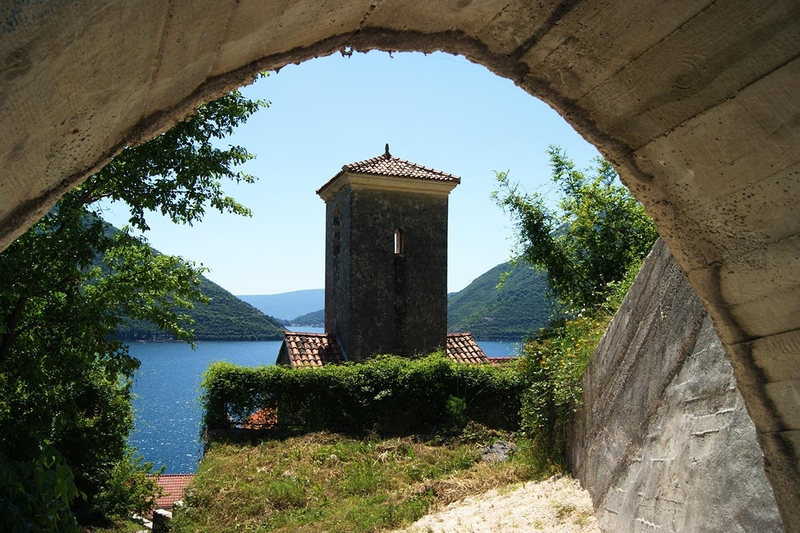 The sailors of Venice, and later Russia, came to the nautical school here and learned the skills of Perast's mariners, cartographers and engineers. At its peak in the mid-18th century, there were four shipyards and a fleet of around a thousand ships based here. 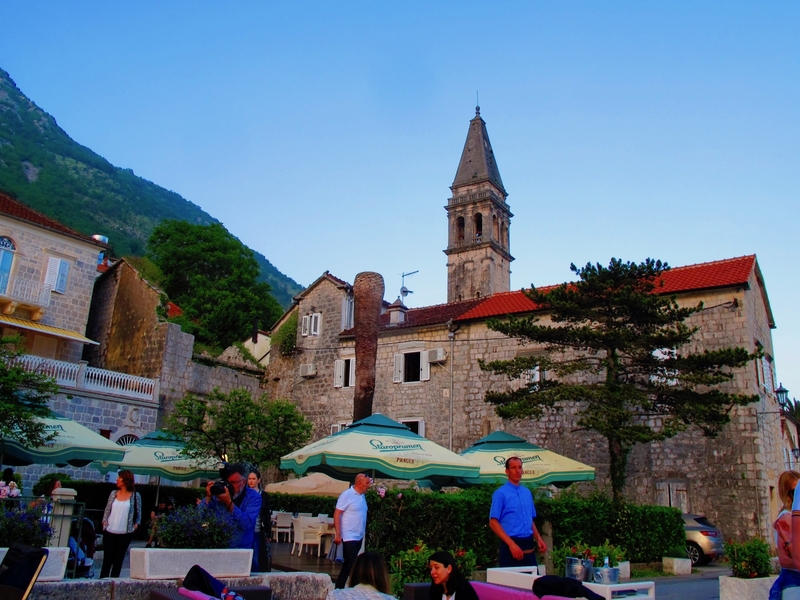 During this period the most beautiful buildings arose in this fortified town. 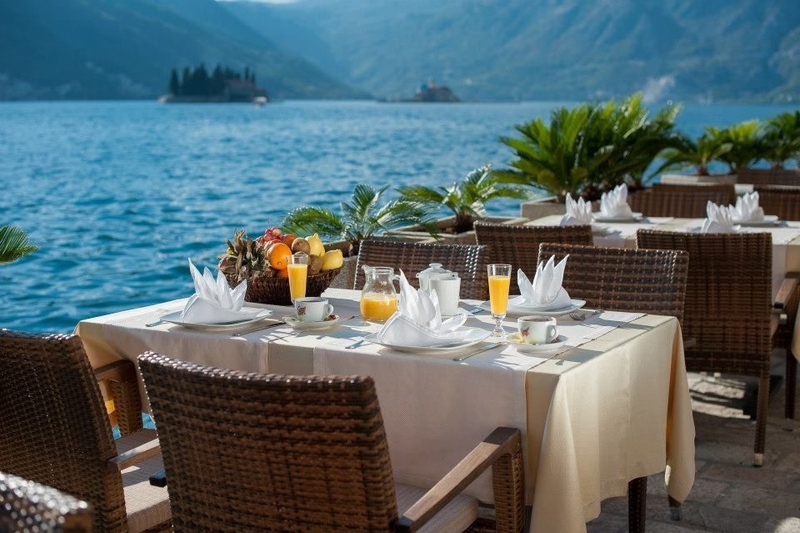 Many ornate baroque palaces and magnificent dwelling-houses decorated the town of Perast all built in typical Venetian architectural style. The fleet was eventually extinguished by the rise of the steam engine and the population, which at its peak 1,643 in the 18th century has since decreased to around 360 today. 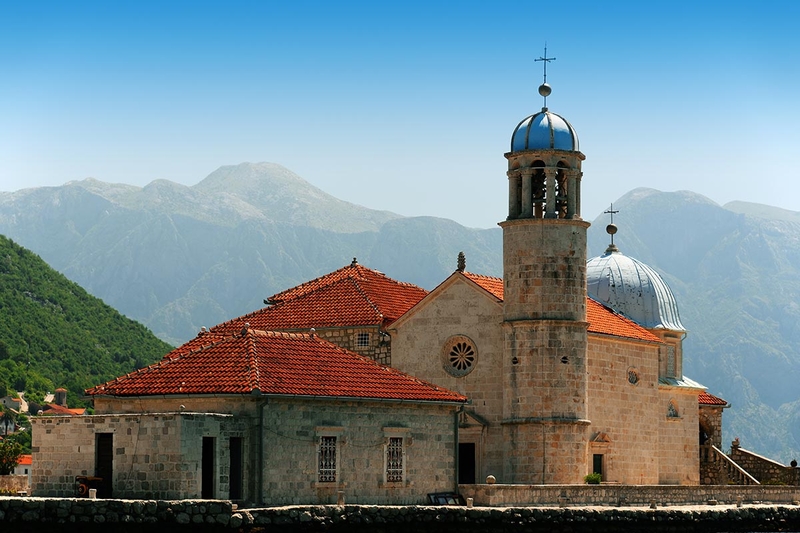 There are two islands just south of Perast, St Georges isle, a cemetery which is not open to the public and the artificial island called 'Our Lady of the Rocks' and is one of the highlights of a visit to Perast. Taxi boats make regular visits to the island - expect to pay around 5 € for an adult or out of season a fisherman or local will be happy to give you a lift. 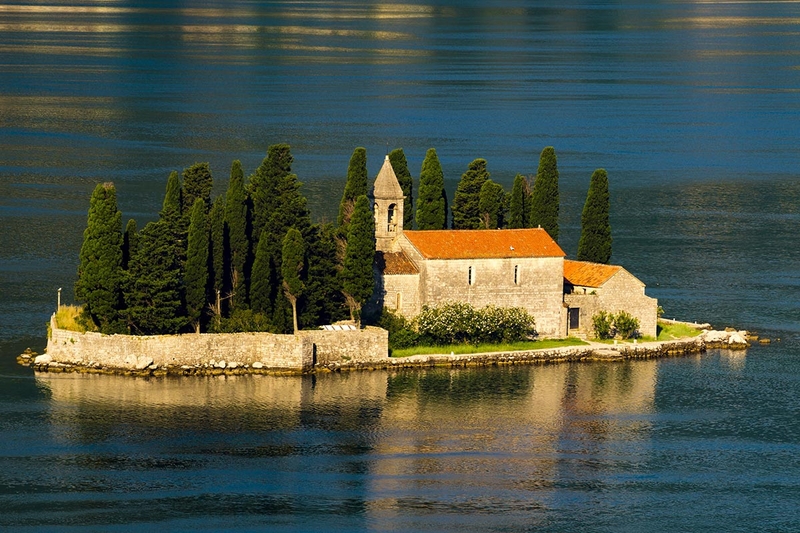 It took over 200 years to drag rocks to build this island, and another 300 years to build the church in honour to the Lady on it. The church became a holy place for sailors, as they went there to pray before they embarked on a long journey, perhaps never to come back, as many ships were lost in storms or pirate attacks. They made vows to donate treasures if they came back safely and usually after the journey, they made silver tokens on which they carved the motifs from the sea battles and storms they survived. There are now over 2000 of these silver tokens displayed on the walls of the church on the island. The museum features a large collection of over 70 seascapes and sailing ships together with an armoury of weapons from the 18th century and later. A unique item with a remarkable story is the embroidery by Jacinta Kunic dating from the 18th Century. She started working on the embroidery when her husband left to go to sea, using Chinese and Japanese silk threads, and her hair! As she worked on it over a period of over 20 years her hair grew grey - which can also be seen in the work. Rumour has it that due to the incredibly detailed work she eventually went blind. 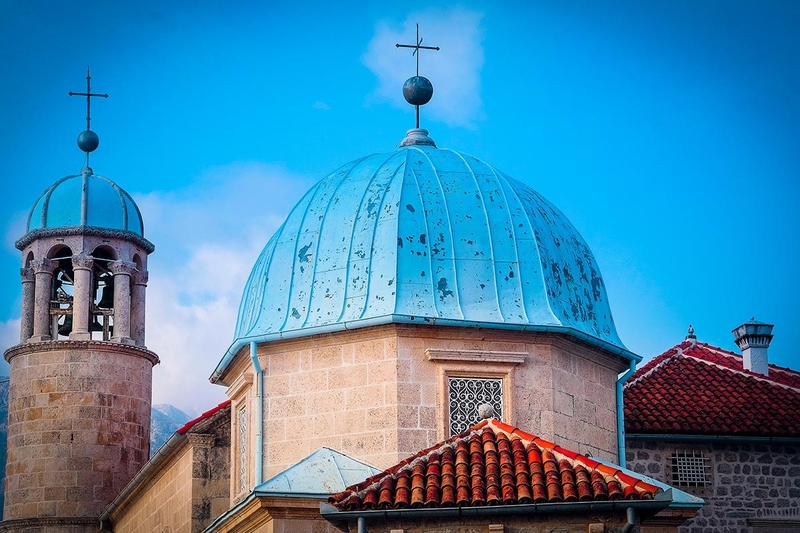 She never lived to see her husband, but her work remains in Perast, in the church and holds the world record for the most detailed embroidery with over 700 stitches per square centimetre. St Nicholas' church dominates the central town square. Approaching from either direction along the waterfront you will see the town square. At the back of this square is the church of St Nicholas, a Catholic church with a 55-metre high bell tower. 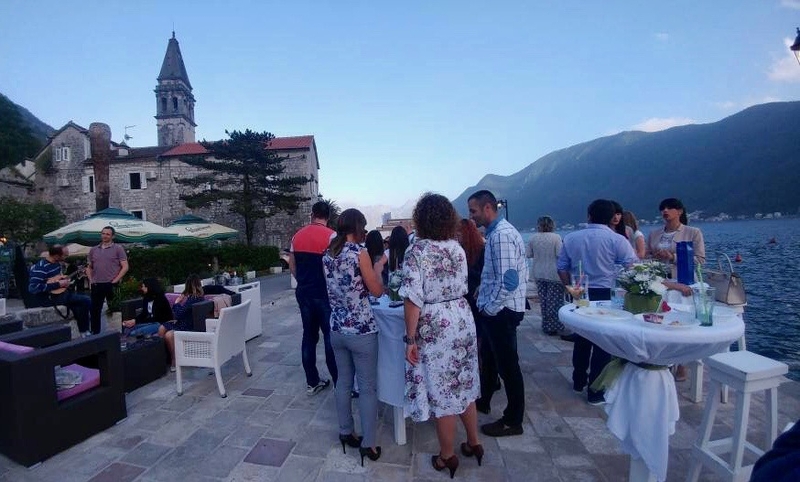 The entrance fee for the tower is 1 Euro and the views from the top overlooking the bay and towards the two islands are magnificent. 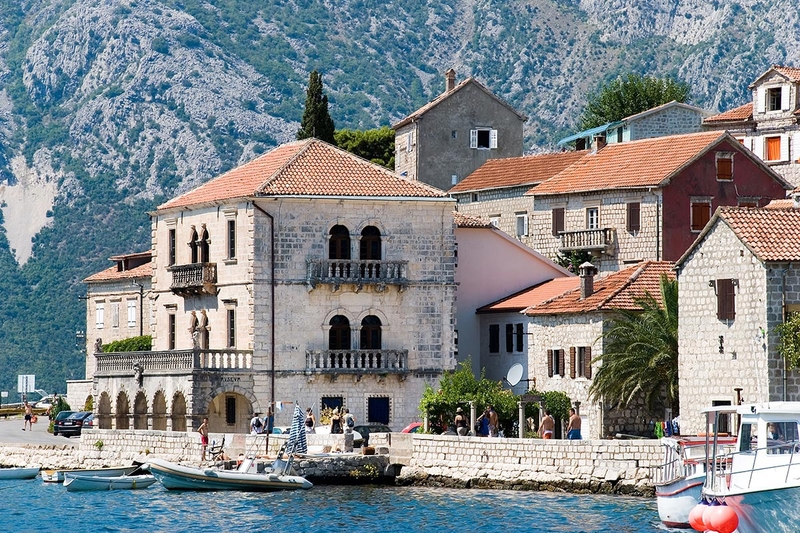 A visit to the Nautical museum will bring you closer to the history and culture of the place. The museum itself is located in a beautiful, well preserved old house by the bay with a marvellous view of the sea.